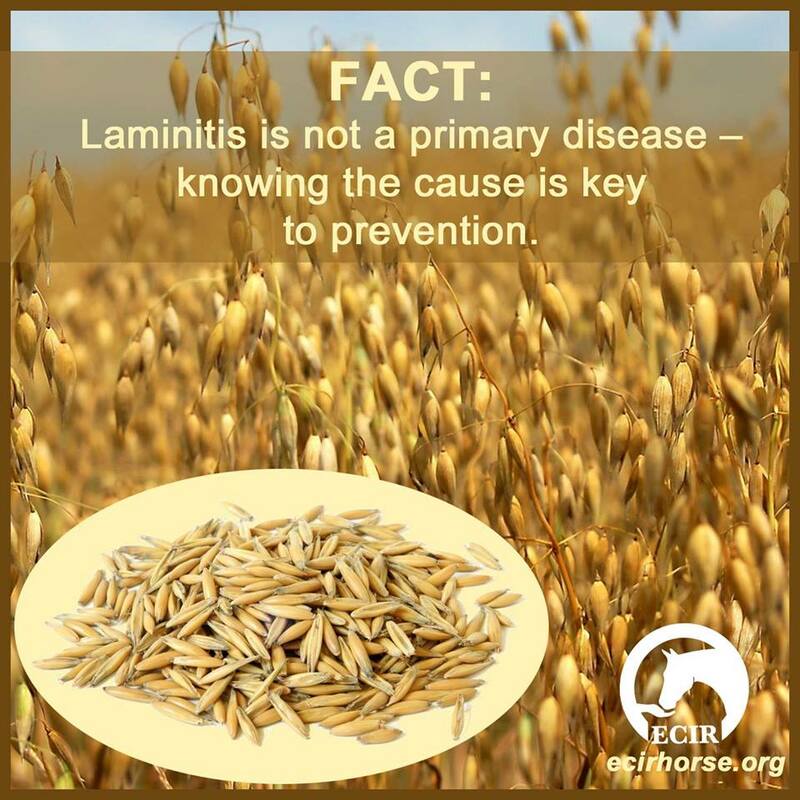 The majority of laminitis cases are caused by endocrine disorders (IR and PPID). 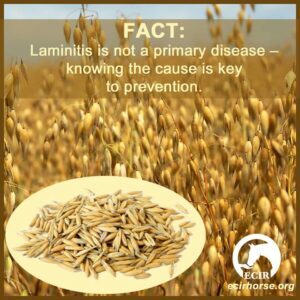 In horses with IR, PPID or both, the cause of laminitis is hyperinsulinemia (elevated blood insulin—and if insulin is not under control, they should not be eating oats). For example, if you have a horse with elevated insulin who has recovered from laminitis, a meal of high-starch oats will result in further elevated insulin and will significantly increase the risk of another laminitis event. The same can be said for grazing pasture. If insulin is not under control, dietary digestible sugar and starch needs to be 10% or lower. Neither of these scenarios involve starch overload, hind-gut acidosis or endotoxemia. In these scenarios, insulin alone is directly causal. High insulin is the primary mechanism that causes laminitis. Once more, to be very clear, sugar and starch that are digested in the fore-gut result in elevated insulin, which can cause laminitis.